Scott is too shy to tell you himself, but he designed the album cover too. It’s been nearly three years since Man On The Moon II: The Legend of Mr. Rager came out. 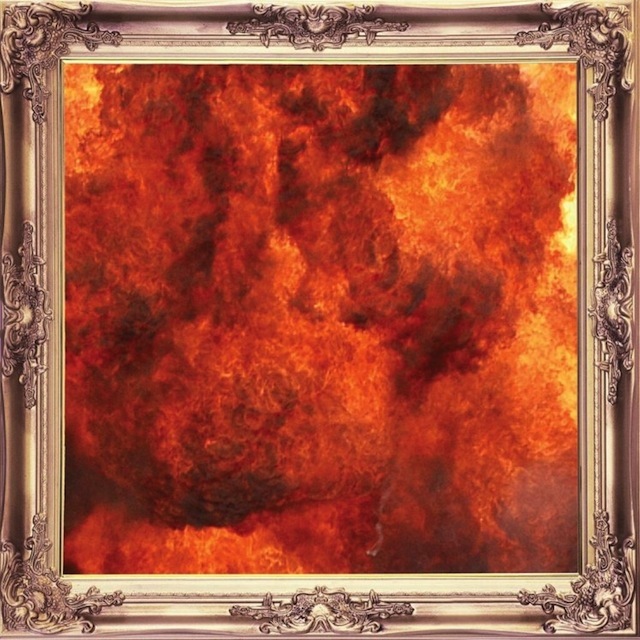 Now, on the eve of summer in 2013, Scott Mescudi is back with Indicud. Where does this record rank out of the three Cudi releases? Upon only one listen through it’s right in the middle but closer to MOTHM1 than MOTMII. I really appreciate a few things about Indicud. That being said, standing out on this collection of songs is the incredibly infectious “Red Eye.” You may see that it features HAIM and think ohhhhhhh sure, the music blogger picked the song with HAIM in it. Classic music blogger. Guilty as charged. “With “Red Eye” like all good songs, it’s not just the names listed in the “Artist” line that count. “Red Eye” has just as much star power with the men behind the scenes as it does with the women infront of the mic. None other than auditory crack cook, Hit Boy himself is the man pulling the strings. According to Cudi, the track had quite the maturation period as he and Hit Boy were working on it for two years or so before HAIM completely took over 2012, got in the studio with “dope energy,” had the song reworked to their strengths and finally molded into the track posted below. When asked about the album Cudi said, “You’ve just got to bring the madness sometimes,” and anytime you create a hip-hop album with a track over 9:00 minutes featuring Michael Bolton, you have done just that.